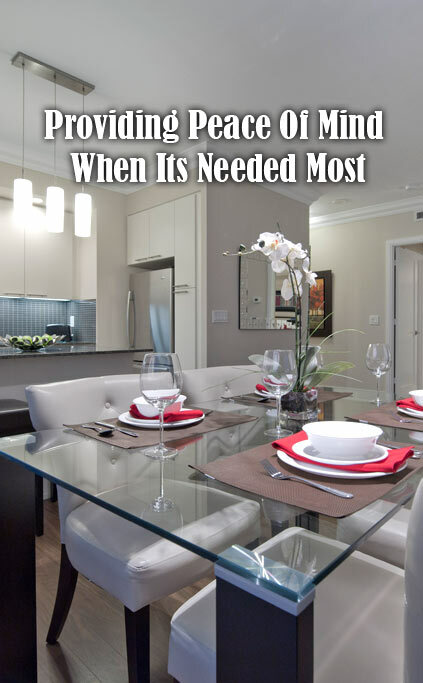 DelSuites offers fully furnished and serviced condominiums serving the unique needs of the insurance industry in 20 locations throughout the Greater Toronto Area, including Downtown, Midtown, North York, Markham, Scarborough, Mississauga and Etobicoke. We specialize in relocating your policyholder into furnished accommodations while their home is being restored. Our Team is trained to work on your behalf, keeping you informed every step of the process. The insured is met personally to help them orient and settle into the apartment. Monthly set rate, which includes telephone, laundry and parking expenses, normally charged at regular hotels. Book for a minimum of 30 nights with the option to extend for longer as needed. Pre-Approved Credit for All Major Insurance Companies. Hotel tax does not apply. Privacy and comfort of separate bedrooms, living room, dining room and fully equipped kitchen. A turn-key home, complete with all utilities, furnishings and linens. A location right in their/or as close to their own neighbourhood which provides some sense of familiarity. High speed, wireless internet, residential telephone and upgraded cable services to keep in touch with loved ones and to ease their comfort. "It was a fantastic experience. Wonderful, helpful staff that really made our stay enjoyable. All questions and concerns were always addressed and any issues we had were always solved. We loved the condo! The location was perfect and close to everything we could have imagined. Thank you!!"